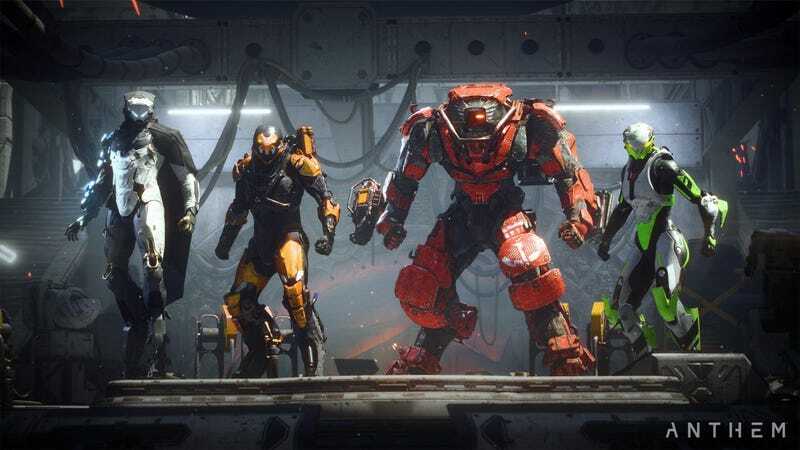 On Tuesday, Kotaku posted an investigation into what had happened behind the scenes on Anthem, a story that also dived into cultural problems impacting BioWare’s current and former employees. The piece discussed indecision, mismanagement, and the production practice referred to as “BioWare magic,” a belief that with enough hard work—and enough crunch—every project will coalesce at the last minute. The article also detailed the stress, depression, and anxiety that has led dozens of employees to leave BioWare over the past two years. I wanted to get a note out to you to share my thoughts on the Kotaku article and the online discussion it has raised. What we found out-of-bounds was the naming of specific developers as targets for public criticism. It’s unfair and extremely traumatizing to single out people in this way, and we can’t accept that treatment towards any of our staff. That’s why we did not participate in the article and made a statement to that effect. When I was offered the opportunity to return to BioWare as GM, I came into the role knowing the studio was experiencing significant challenges in team health, creative vision, and organizational focus. I was - and continue to be - excited to help drive improvements in those areas because I love this studio, and above all I want to create a place where all of you are happy and successful. I’m not going to tell you I’ve done a good job at that, and on a day like today I certainly feel like I haven’t. But some of the steps we’ve taken towards this include a more focused studio mission and values, so that we have clarity on what we are here to do and how we define a high standard for our studio culture. We updated our studio structure around a matrix so that department directors can be fully focused on individual career support and well-being. We are defining better role clarity so that people can succeed better against clear expectations. And we are putting in place production changes that will provide for clearer project vision as well as a significant post-production period that will further relieve pressure and anxiety on teams during development. But I know there’s much more to do, and we will talk in more detail about other actions we have been planning in response to internal feedback and postmortems at next week’s All-Hands. As always please continue to provide feedback on further steps we can take to make BioWare the best possible place to work. Please let me know if you’d like to talk in person and I will be happy to set up time to hear your thoughts. Since the publication of this week’s article, I’ve heard from a number of developers who work or have worked at beloved AAA game studios with messages like, “Replace BioWare with [my studio] and it’s the same story.” We can only hope that continuing to talk about and report on these issues will lead to widespread change.